It is well known that cerebral blood flow (CBF) is markedly enhanced during seizure. However, whether the increase in blood flow results in the sufficient oxygen delivery to meet the increased demand is still controversial. The cerebral oxygen concentrations during seisure have been monitored by using oxygen electrode or spectrophotometry which measured the redox states of cytochrome oxidase(Cyt.ox.) or pyridine nucleotide in mitochondria. In previous paper, Hazeki and Tamura reported the quantitative analysis of hemoglobin(Hb) oxygenation state and the redox state of Cyt.ox. in the rat brain by using near infrared quadruple wavelength spectrophotometry(Hazeki et al. 1988). 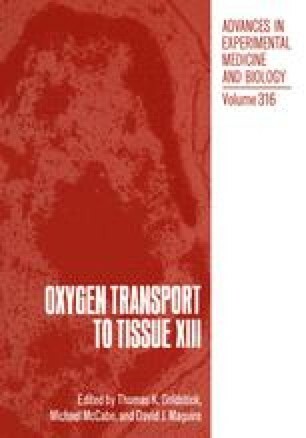 In this study, we will report the Hb oxygenation state and the redox state of Cyt.ox. in the rat brain during and after seizure.